Q What’s causes this ban? In this particular instance, Places for People is a registered social landlord, so they will be focusing on trying to sell properties to people at an affordable level. Their likely concern is that such affordable sales are then snapped up by investors with more buying power, who then immediately place properties out for rent, defeating part of the purpose of the properties being made available and constructed. It will also be, in part, in response to concerns of the general maintenance and care of a development after the sales are completed. If too many buy-to-let landlords move in, it can have an impact on the long-term desirability of the location. 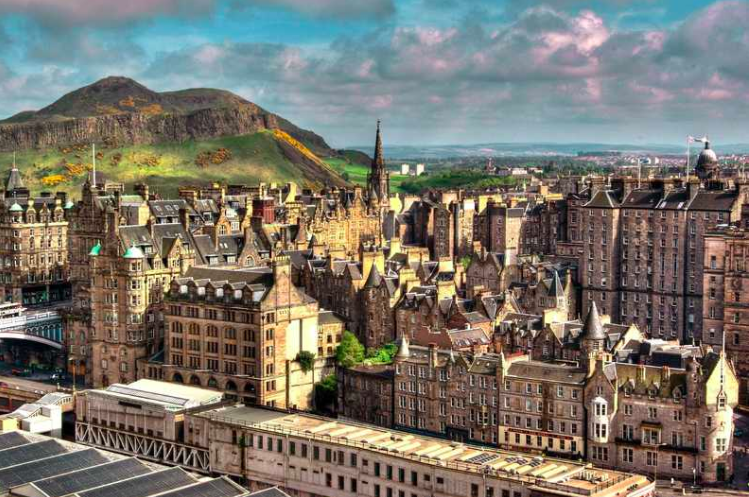 Q How much can you charge tourists to stay in Edinburgh during the Fringe? We have written about Airbnb on this site recently and on my slot on the Kay Adams Programme I have talked with landlords who have told me of between £200 and £500 a night for two-bedroom flats in Edinburgh during the Fringe through Airbnb. Q How much does the typical Airbnb owner make during the Fringe? As I say, I have found from discussions on the Kay Adams Programme that Airbnb can be very lucrative in Edinburgh during the Fringe, although with up to 10,000 properties listing during this August’s festival season, supply and demand can start to have a negative impact on what people can make. But, if a typical two-bedroom flat in Edinburgh may be rented out for 700 pounds a month, and it can get 500 pounds a night during the Fringe, you can see that one month of Fringe Airbnb activity is approximately two years of normal rental income. Q Will the buyer still be able to let out their flats in a long-term capacity? It’s not clear from the information available whether this will impact on long-term rentals from the website specifically dealing with the development, it makes reference only to short-term lets on sites such at Airbnb, and therefore, it looks like long-term renting may still be allowed. Q How controversial is this ban? Obviously, the developer is trying to balance the needs of all proprietors in this. I have come across, before, attempts to prevent people renting out properties without full approval of local residents and neighbours. Any such restriction in title deeds require to be enforced, however, and this will come down to a follow-up by neighbours and property factors to enforce. The challenge of making it a rent-free system would be that this could place unfair restrictions on people who genuinely have issues imposed on them by personal circumstances [e.g. job requirements are that they move away, and market conditions that they cannot sell their own property, and the only way that they would be able to move onto the new job would be to rent their property out]. It certainly shows that there are increasing concerns about the impact on neighbourhoods of Airbnb renting. But it’s not just about Air BnB but also buy-to-let. Q Do you think people will find a way round it? People will always find their way around things and like everything in life when bans and restrictions are introduced, it is as much about enforcement. We see this in the Private Rented Sector all the time with still, a decade after landlord registration commencing, that many buy-to-let landlords do not register with the local authority and do not have all the certification necessary. Indeed, even the agents are not immune to cheating and breaking rules with still, 5 months after mandatory registration for letting agents, some still practice without qualifications and without registering. I know of at least one that isn’t registered, has no staff with the qualifications and the government register know about them and still they trade! Q What happens if the owner breeches the ban?